Pawsitive Impressions: Jordyn is Already Making an Impact in Penfield, NY! Jordyn is Already Making an Impact in Penfield, NY! 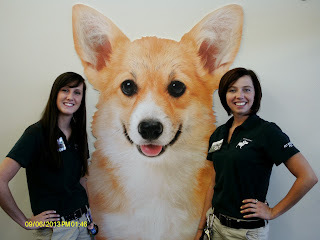 Penfield, NY pet center opened in late August, and Jordyn, Team Leader, is already winning over her neighbors! Pat on the Back to Jordyn for her TRUSTWORTHY AND PETCENTRIC service to Perry. This is a great note from Perry’s mom. Jordyn from Pet Supplies Plus in Penfield, NY was awesome with my Brittany Spaniel named Perry. I needed to pick up meds for Perry for arthritis and Jordyn cut Perry’s nails for free. Jordyn was very gentle and caring while cutting Perry’s toe nails since he has an injury to left leg with a pulled ACL, and on meds from Vets. MD. I give Jordyn an A+++ for gentleness and caring and professional pet care giving skills she administered to Perry. Jordyn demonstrates a real love for animals and made a task (toe nail cutting), which I struggle doing, a breeze for her to do. So, just want to say THANK YOU Jordyn!! !